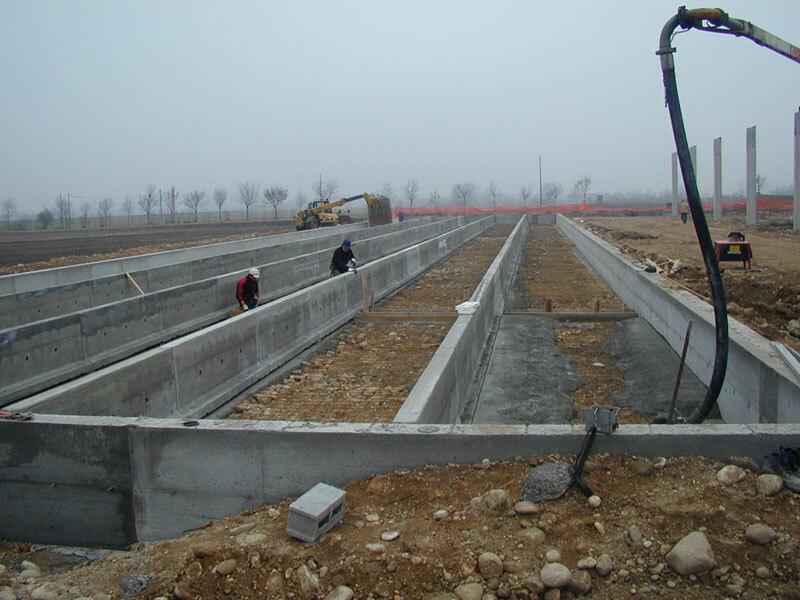 Different types of prefabricated structures for agriculture, which are adaptable to the needs of the customer, are used to create grid supporting structures. 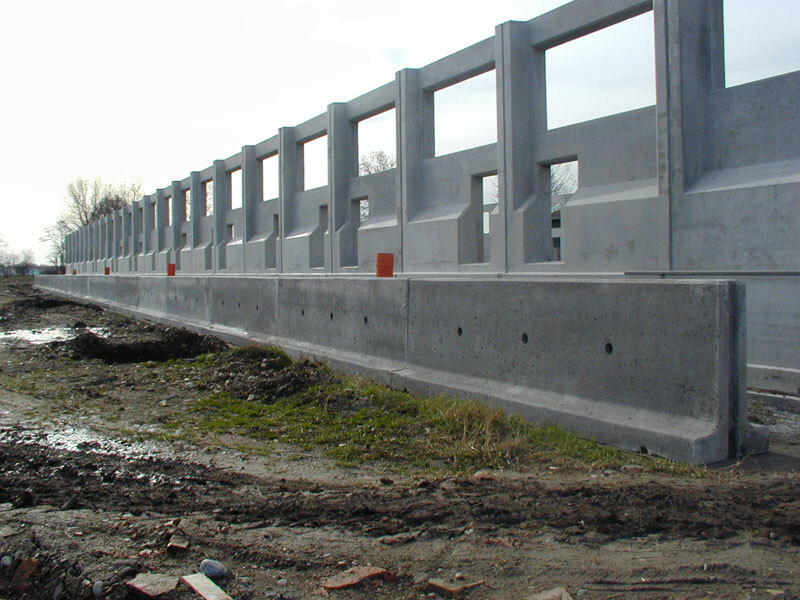 The grid supporting wall is a self-standing module designed to allow the support of two grids. 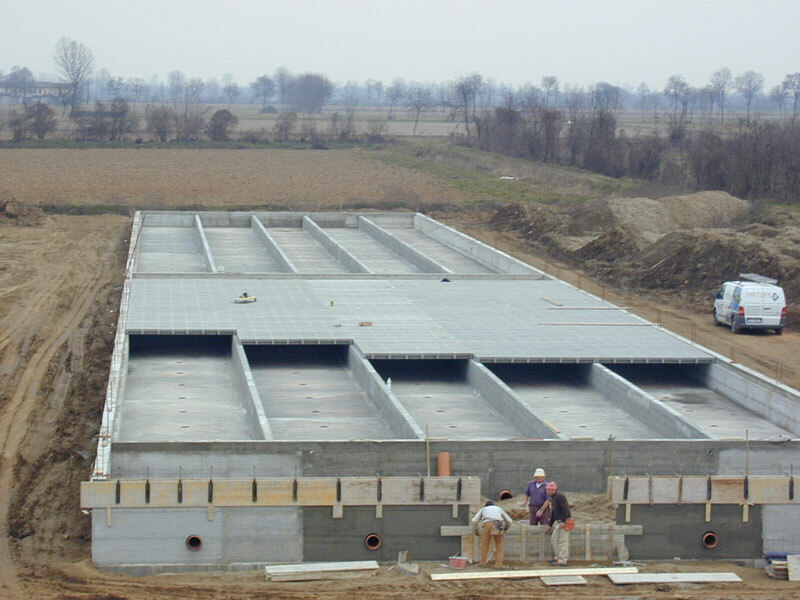 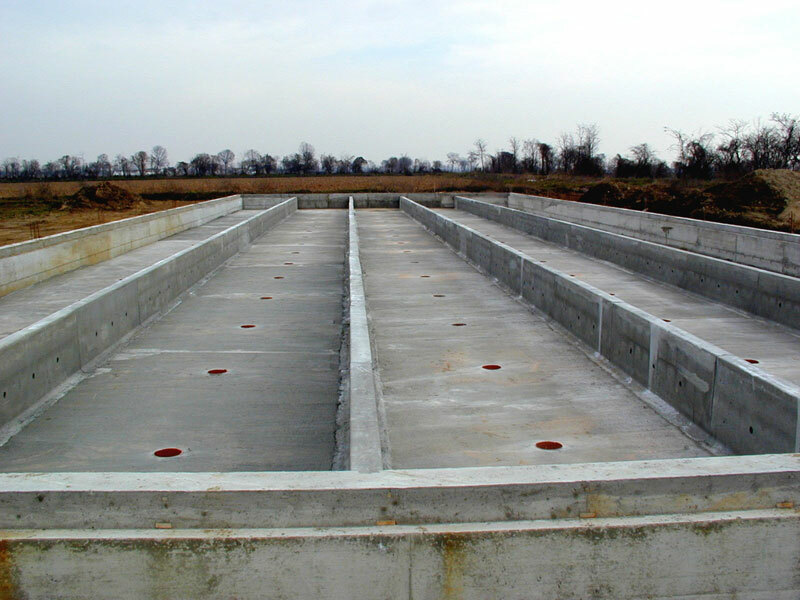 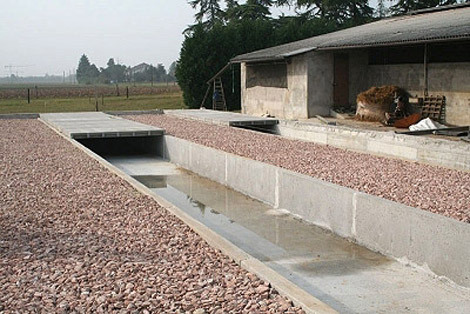 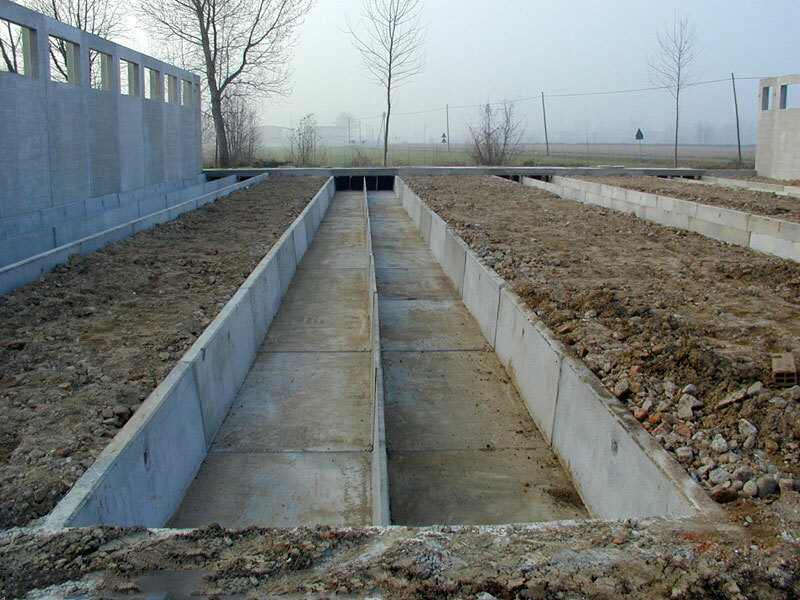 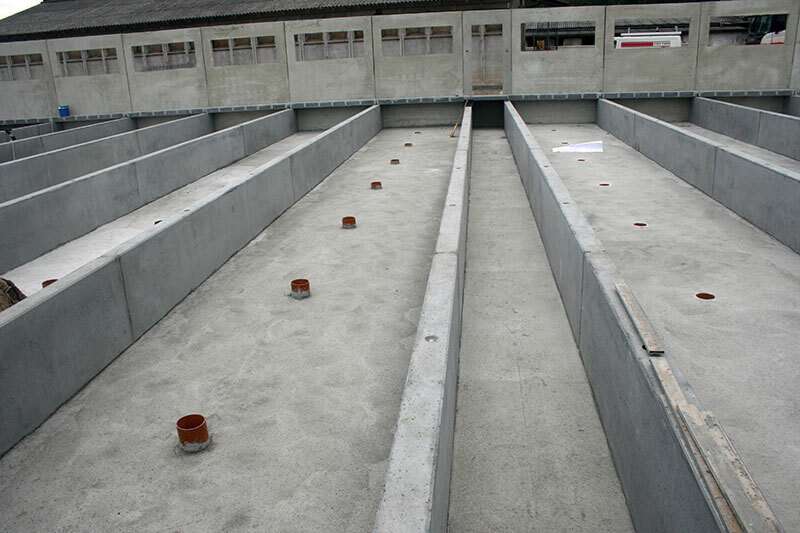 It is used in pig farming which envisages a vacuum type drainage system. 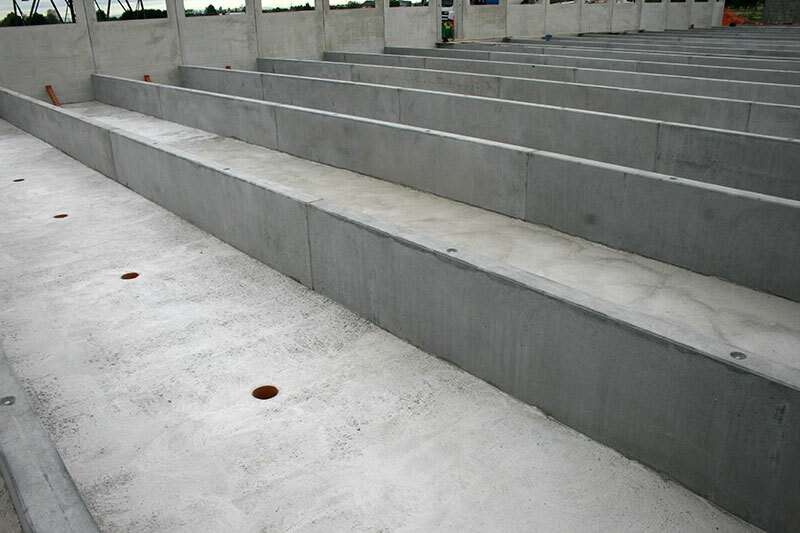 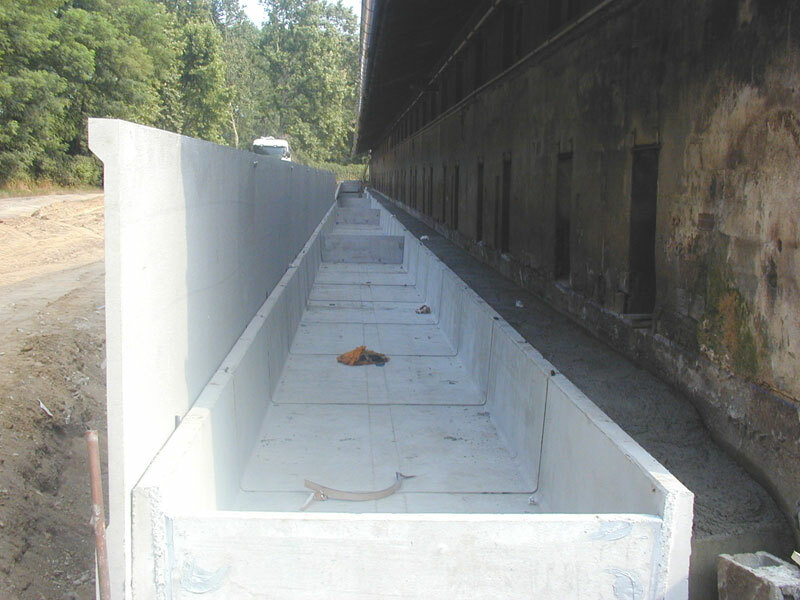 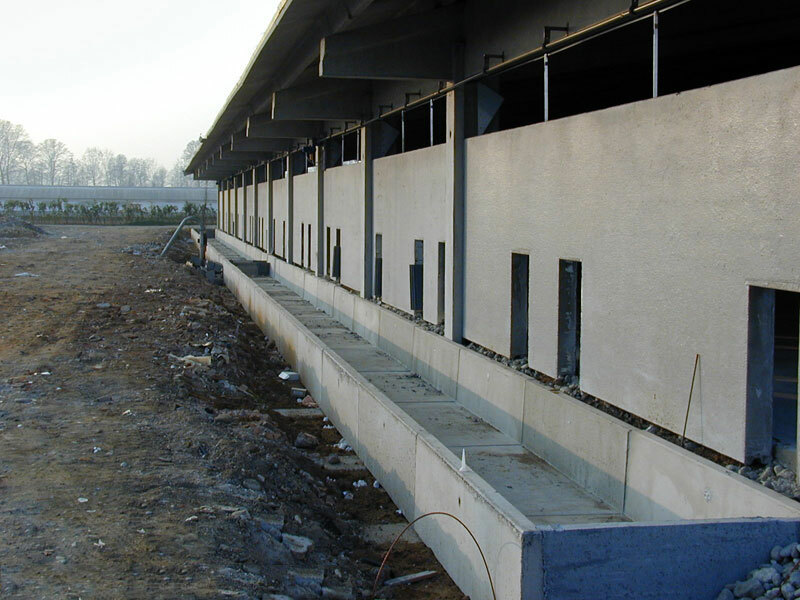 The recent introduction of the new GF SYSTEM walls onto the market has found wide acceptance among farmers. 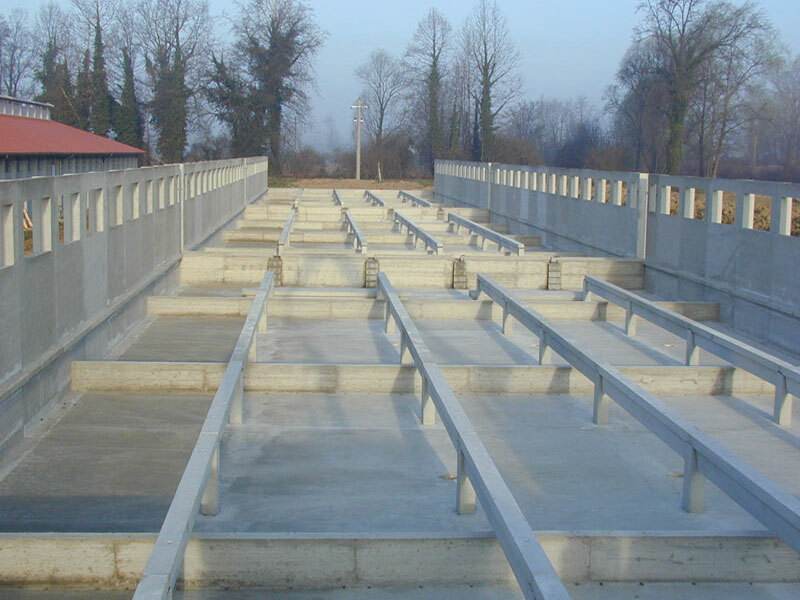 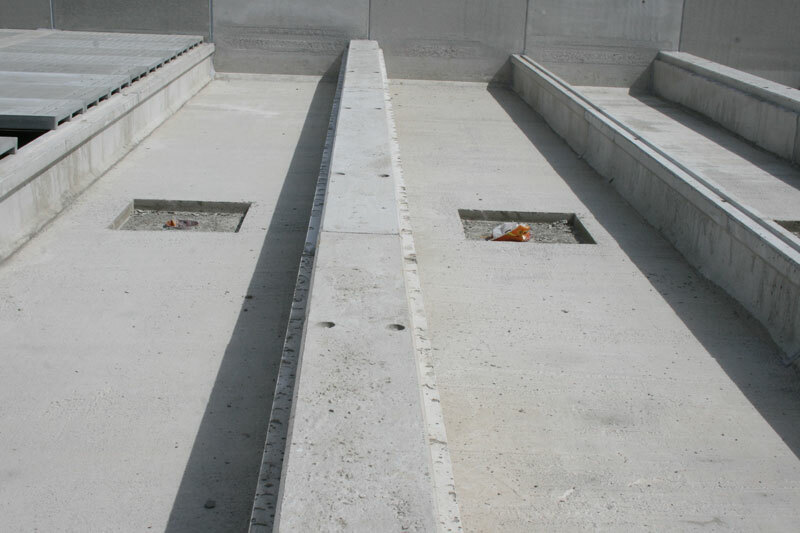 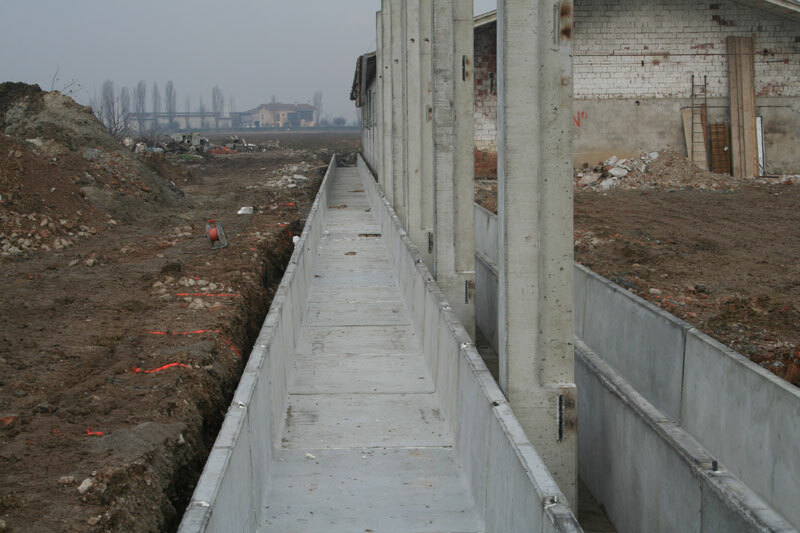 They consist of grid supporting structures with multiple features, which are equipped with double dentil and allow the support of two rows of grids, acting as a support to the intermediate partition separating the box or trough and creating slurry collection lanes. 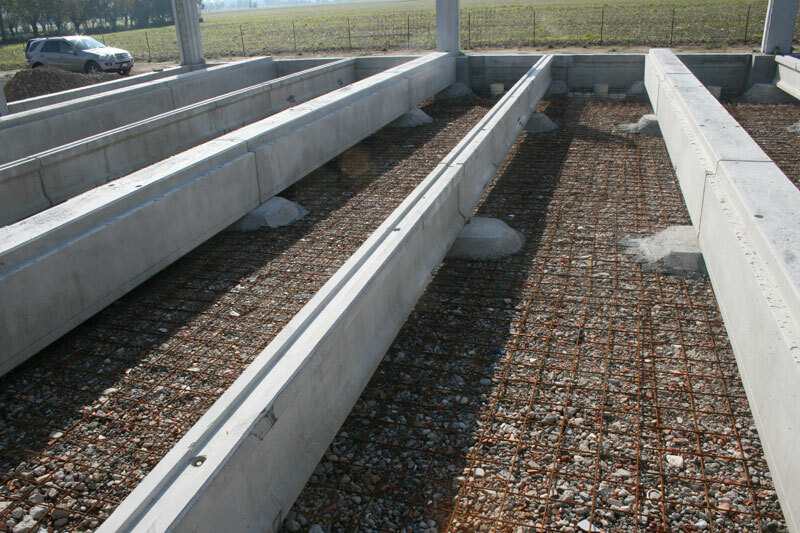 The feature that makes them innovative is the flexibility of the entire grid supporting structure: partitions and troughs no longer rest on the grid and become independent elements. 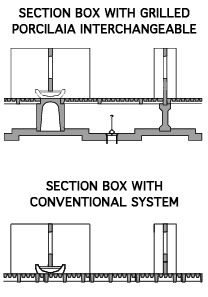 Each box is autonomous, thus facilitating the operations of replacing the grids as required by law. 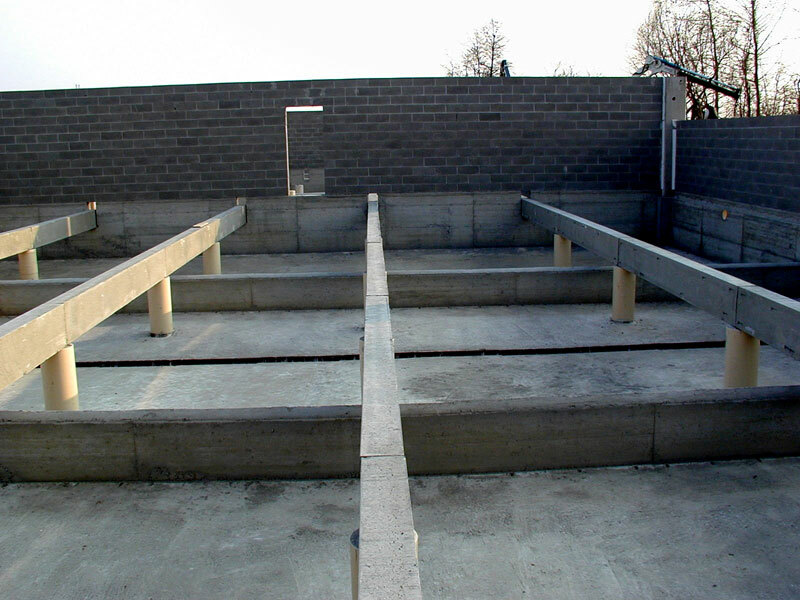 It is an innovative system from a management point of view. 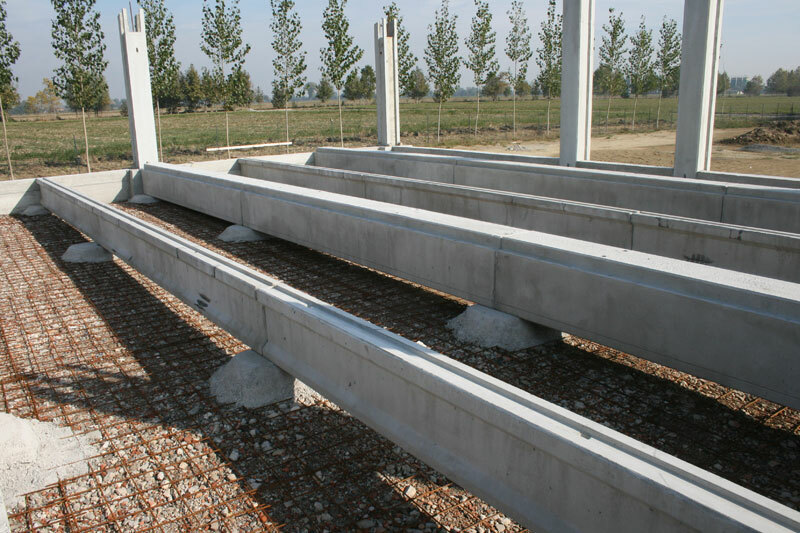 The beam is available in different sizes and is dimensioned and calculated in relation to the needs of the customers. 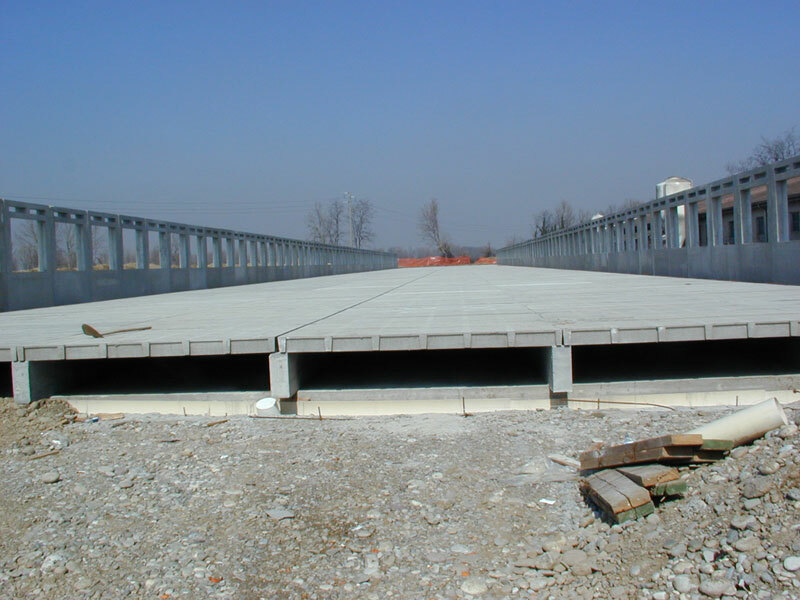 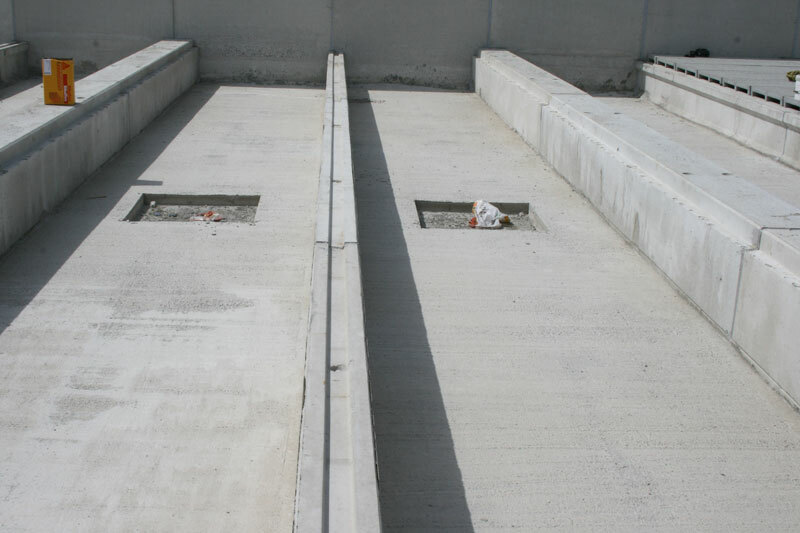 It is used with support plinths, whose positioning creates a continuous and secure support for the grids above.